‘Loops’ entered the inventory through an experiment by Golan Levin (2009). 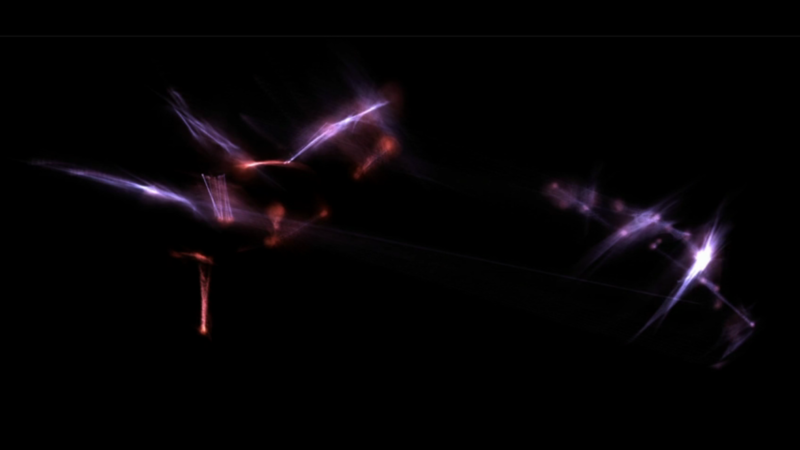 Using an imaging technique called Isosurfacing, common in medical data-visualisation and in cartography, Levin rendered a motion recording of Merce Cunningham's performance ‘Loops’. The source code of the project is published on his website as golan_loops.zip. The archive contains amongst c-code and several Open Framework libraries, two motion capture files formatted in the popular Biovision Hierarchy file format, rwrist.bvh.txt and lwrist.bvh.txt. There is no license included in the archives . Following the standard lay-out of .bvh, each of the files starts with a detailed skeleton hierarchy where in this case, WRIST is declared as ROOT. Cascading down into carpals and phalanges, Rindex is followed by Rmiddle, Rpinky, RRing and finally Rthumb. After the hierarchy section, there is a MOTION section that includes a long row of numbers. 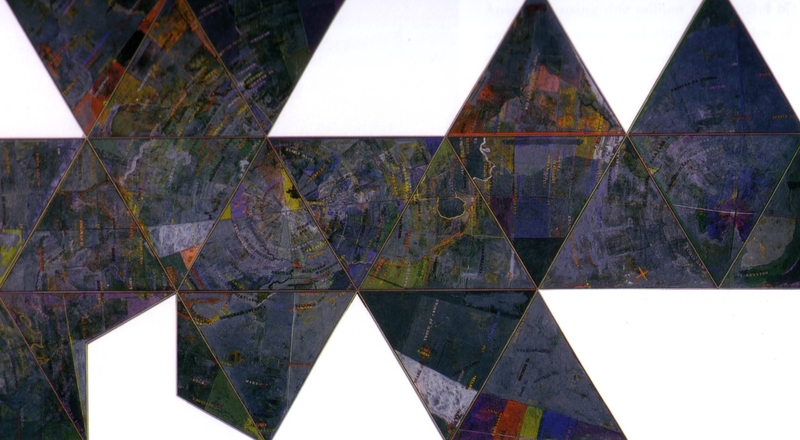 From the late nineties, the digital art collective OpenEnded group worked closely with Merce Cunningham. 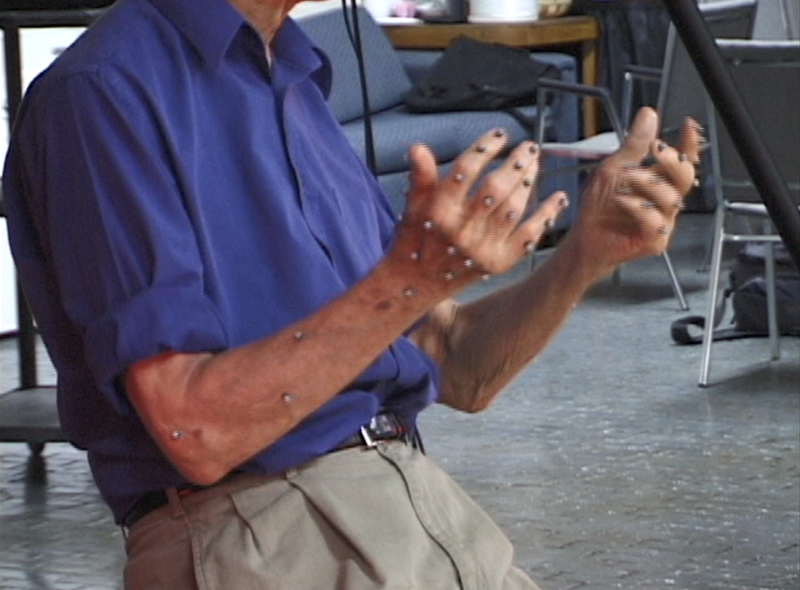 In 2001, they recorded four takes of Cunningham performing ‘Loops’, translating the movement of his hands and fingers into a set of datapoints. The idea was to "Open up Cunningham’s choreography of Loops completely" as a way to test the idea that the preservation of a performance could count as a form of distribution . The release of the recorded data consists of four compressed folders. Each of the folders contains a .fbx (Filmbox) file, a proprietary file format for motion recording owned by software company Autodesk, and two Hierarchical Translation-Rotation files, a less common motion capture storage format. The export files in the first take is called Loops1_export.fbx and the two motion capture files loops1_all_right.htr and loops1_all_left.htr. Each take is documented on video, one with hand-held camera and one on tripod. There is no license included in the archives. In 2008, the OpenEnded group wrote custom software to create a screen based work called ‘Loops’. Loops runs in real time, continually drawing from the recorded data. “Unique? — No and yes: no, the underlying code may be duplicated exactly at any time (and not just in theory but in practice, since we’ve released it as open source); yes, in that no playback of the code is ever the same, so that what you glimpse on the screen now you will never see again.”  The digital artwork is released under a GPL v.3 license. Cunningham developed ‘Loops’ as a performance to be exclusively executed by himself. He continued to dance the piece throughout his life in various forms until arthritis forced him to limit its execution to just his hands and fingers. A recording of ‘Loops’ performed in 1975 is included in the New York Public Library Digital Collections, but can only viewed on site . In one of the rare images that circulates of the 1971 performance, we see Cunningham with composer Gordon Mumma in the background. From the photograph it is not possible to detect if Cunningham is facing the painting while dancing ‘Loops’, and whether the audience was seeing the painting behind or in front of him.